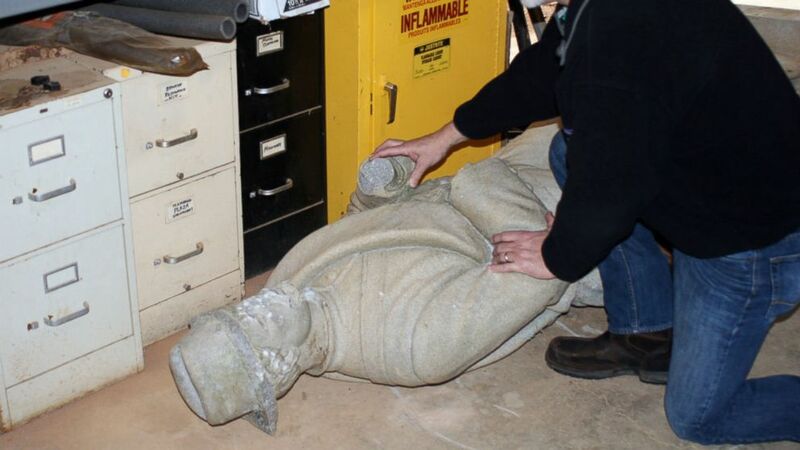 A statue of a Confederate soldier was defaced by vandals, officials said. camera (Doug Walker/Rome News-Tribune) Rome Public Works Director Chris Jenkins checks the damages to the monument of a Confederate soldier that stood in the Myrtle Hill Cemetery until it was seriously vandalized this week, Rome, Ga. In the wake of the incident, the monument at Myrtle Hill Cemetery in Rome, Georgia -- intended to be a memorial to the defenders of the Confederate states, according to the cemetery's manager -- was removed from its base. "It has been reported, the damage has been estimated and, yes, [we] are investigating," Rome Police Department Lt. Danny Story told ABC News. Confederate statues have been the targets of protests and vandalism around the country in recent years, but Story said that the statue at Myrtle Hill hasn't been targeted before. 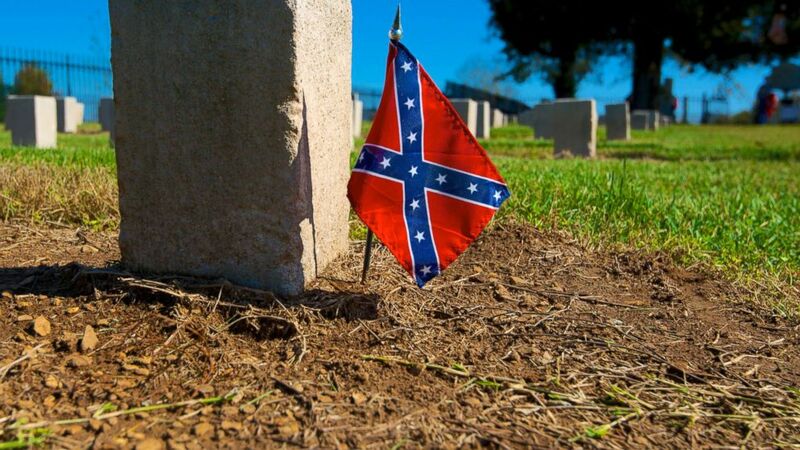 (STOCK PHOTO/Danita Delimont/Gallo Images/Getty Images) A confederate flag is put next to a gravestone in a cemetery, in this undated file photo. According to University of Georgia's archives, the statue was erected in 1887 by “the Women of Rome” Georgia, a group that tended to the cemetery’s Civil War section.